Annapolis Micro Systems produces all of its FPGA Boards and Systems for OpenVPX and PCIe in our new 16,000 square-foot state-of-the-art production facility located in Annapolis, Maryland. Our production facility houses inspection, inventory, SMT, rework, hand assembly, and production test. Annapolis’ production facility is designed to meet customers’ needs both large and small, including high mix orders and special manufacturing requirements or timelines. 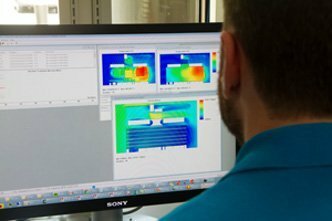 The Annapolis production team enables customers to have long product life cycle support and aggressively manages part obsolescence by working closely with customers and continually providing future upgrade paths. Annapolis maintains full part traceability and protects against receipt and use of counterfeit parts. 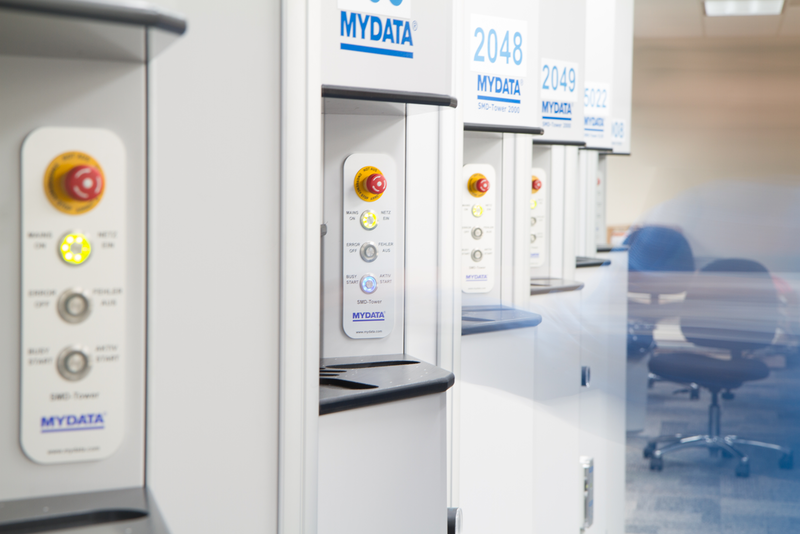 Annapolis Inventory is centered around the MYDATA component towers where reels and trays of components are stored in a bank of robotic environmentally controlled towers. When it is time to load for a new build, parts can be automatically dispensed in whatever order is desired. All parts are tracked by our inventory database. Annapolis’ SMT line consists of a Jet Solder Paste Printer, Solder Paste Inspection (SPI), Universal Instruments Pick-n-place, Automated Optical Inspection (AOI), and oven. 100% inspection is performed and stored on the dispensed solder paste, physical part geometries prior to placement, and vision placement and orientation of placed components. 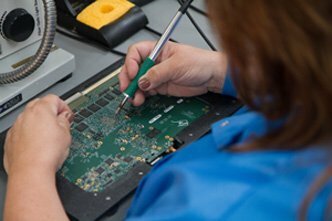 Each Annapolis board produced is validated and run through a suite of production tests verifying it was manufactured without errors. A passing board is then burned in for 24 hours, and fully retested. Once the board has been retested it is prepared for shipping. Our in house manufacturing is a key component of our customers’ success.